We were back at WebSummit this year. Hosted in Portugal’s coastal capital city, Lisbon, it was packed full of the latest and greatest tech and startups and the business leaders trying to make sense of it all. 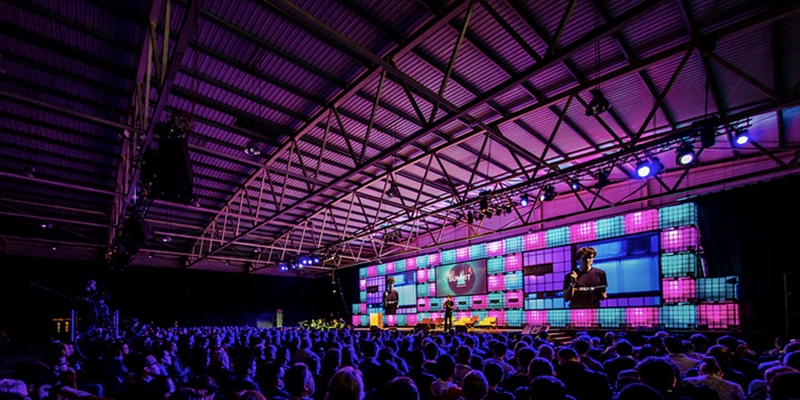 This year was the largest WebSummit since its inception in 2009, with a reported 53,000 attendees, 7,000 CEOs & over 15,000 companies! We sat down with our Head of Lab, Scott Cooper, who was in attendance this year. The following conversation took place over lunch at Franco Manca in Covent Garden (they do brilliant sourdough pizza btw). Lewis: So, what was the mood like at WebSummit this year? Scott: It felt that I was hearing the same challenges as we did at Cannes and SXSW – more than we should be. It is always nice to learn more about the trending topics of the day, but what is lacking is how do we actually make this ‘innovation’ happen? Lewis: I guess for both corporates and startups an air of uncertainty lingers. They find budgets constrained, efficiency drives, an ever-changing technology landscape —not to mention political upset! Scott: Absolutely. I keep returning to this quote “In an era defined by change, responsiveness has become the ultimate competitive advantage.” Brands need to learn to thrive in uncertainty and accept that change is a constant element. Lewis: Interesting. And what was the reaction like to the array of technology on show? Scott: Overwhelming. I think there was something like one thousand five hundred startups in attendance at WebSummit. I found myself walking around the startup exhibitions overwhelmed by the vast array of technologies, industries and startups all vying for my attention. If I was feeling like this I can’t imagine how the corporates were reacting. I think this serves as a suiting metaphor to describe how corporates view innovation and the startup space. They feel excited by the opportunity, overwhelmed by the sheer amount of choice out there. There’s constantly a new piece of technology on the market or a new social network. In the uncertainty, they either try a bunch of technology that doesn’t address high-impact opportunities (which delivers an underwhelming return on innovation) – or worse, they do nothing. Lewis: What’s wrong with that process? Scott: Well, there’s nothing wrong with that. But “innovation” needs to be demonstrating real impact and returns to the business. It cannot just be about playing with cool new stuff. Innovators need to be building an understanding and awareness of the problems most worth solving. This will help ensure that when going to the startup market, they know which technologies they should focus their limited resources on. I’d like to see more business leaders playing an active role in imagining the future of their industry, the technologies that will define it and the barriers preventing true innovation. This works towards more market-led innovation, as opposed to solution-led. I think there’s a really exciting opportunity for industry innovators and digital innovators to work together in a new cooperative model, to help shape a solution. This was something that worked quite well at Web Summit. Throughout the event, Marketing X held small workshops for CMOs to simply talk to each other. The events were a great opportunity to converse with one and served as an open forum to discuss some of the problems that they were facing. A unified marketplace then made it easier when technology providers and startups approached the group. Lewis: Thanks, Scott. Interesting stuff! Scott: No problem Lewis. Can I eat my pizza now? Sandpit Lab helps some of the world’s best marketers identify and act on emerging opportunities first. We get disruptive technology into your hands first, focusing on products that enable new marketing. We make our money based on the future commercial success of our products, not on overinflated fees or overstated hours. We’re effectively transferring the risk of experimentation out of the corporate environment and into the lab.